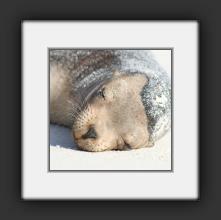 Espanola Island was a magical island. The water was incredibly beautiful and clear aquamarine, and we saw many different species here. 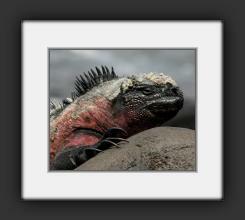 The marine iguanas are the most colorful on this island, with reds and greens. When the birds have their beaks open as you see in the photos, they are not making noise but rather regulating their temperature. 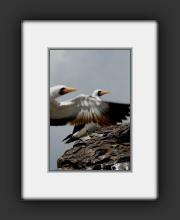 A breeding pair of Nazca boobies. I really like the symmetry of this shot. 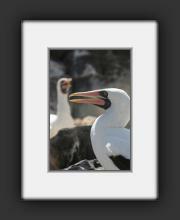 A Nazca booby chick under its mother. 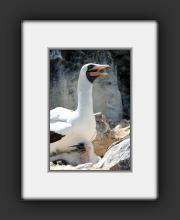 A close-up of a Nazca booby chick. 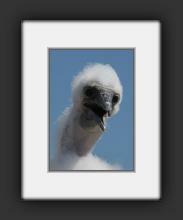 They are very comical looking! 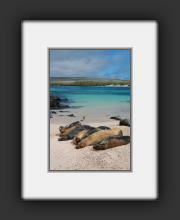 Lounging sea lions by the aquamarine ocean. 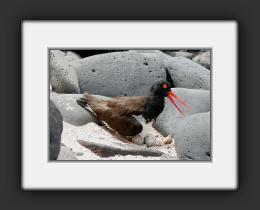 An oystercatcher on its nest. 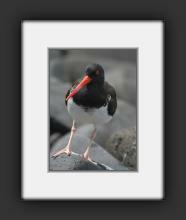 This was the male oystercatcher.